Brainwashed by doctors, oncologists, and the mainstream media, most cancer patients think their only hope for survival is chemotherapy. In America, treating cancer is BIG business. Since the cancer industry makes billions of dollars each year, a cure is not what they are after. Did you know that the number one side effect of chemotherapy is cancer? Conventional cancer treatments not only fail miserably, they are also designed to make cancer patients sicker. Though chemotherapy may shrink the initial tumor(s), what is happening in the background is far more important. It is the one dark and criminal truth nobody seems to knows about. A new study published in the journal Science Translational Medicine earlier this month proved what we have been saying for decades; conventional cancer treatments cause more cancer. A team of scientists at New York’s Albert Einstein College of Medicine has found compelling evidence that chemotherapy is only a short-term solution. Eventually, the drugs will make you sick again, pushing patients towards a second round of expensive treatments. Clever money generating trick: Instead of helping patients to get rid of the disease, they temporarily put it on hold so they can take the dollars twice. In 2017, an estimated 1,688,780 new cancer cases are expected to be diagnosed and about 600,920 people will die from the disease in the United States, according to the annual report by the American Cancer Society. The New York scientists explained that while shrinking the tumors, chemotherapy simultaneously opens new doorways for tumors to spread into the blood system, triggering more aggressive tumors which often result in death. The researchers believe toxic chemo drugs switch on repair mechanisms in the body that allow tumors to grow back faster. Furthermore, Dr. George Karagiannis, lead author of the study, and his team found that two common chemo drugs increased the number of “doorways” on blood vessels which allowed cancer cells to spread to other parts of the body. The team also discovered that chemotherapy increased the number of cancer cells circulating the body and lungs of mice. Though this study only investigated the effects of chemotherapy on breast cancer, the researchers are currently experimenting with other types of cancer to see if similar effects occur, reported The Telegraph. Dr. Karagiannis noted that women receiving preoperative chemotherapy to treat breast cancer should be monitored to check if the cancer isn’t circulating or creating more possibilities to spread. He recommends taking a small amount of tumor tissue after a few doses of preoperative chemotherapy. If the markers are increased, the therapy should be terminated immediately. This study is not the first to demonstrate the ways in which chemotherapy can trigger secondary or metastatic cancers. In 2010, researchers at the University of Alabama at Birmingham (UAB) Comprehensive Cancer Center and UAB Department of Chemistry were awarded a $805,000 grant from the U.S. Department of Defense Breast Cancer Research Program to investigate the question whether chemo encourages cancer to spread throughout the body. What does this number say about the effectiveness and risks of therapy? Do these people know more? And what is the mainstream media hiding from us? Due to the devastating effects on the entire body and the immune system, and an extremely low success rate, three of every four doctors and scientists would refuse chemotherapy, according to polls taken by the McGill Cancer Center. Additionally, an estimated 97 percent of cancers don’t respond to chemotherapy, yet it remains the go-to treatment for nearly every cancer type. Think about it. When your body is fighting cancer, the last thing it needs is more cancer-inducing, immune suppressing chemicals, right? Though all scientists and doctors know that chemotherapy is pure poison and can make things worse, the U.S. Food and Drug Administration (FDA) outlaws doctors from choosing non-chemical routes, such as vitamins, supplements, herbs, superfoods, and other natural cancer solutions, for their patients. Over the past few years, one study after another has been coming out, linking chemotherapy to cancer. Yet authorities fail to make the healthy call. How much more proof do they need before they start to acknowledge that there are far better, less expensive real cures out there? Listen to the expert – Prakash Munshi – who has spent years in analysing and unfolding the hidden dangers, and how our Government and the Private Players are hiding stuff from us …. Bench was told that state had planned to approach Centre, seeking relaxation of norms. The state government, which was planning to relax noise pollution rules for Ganeshotsav and Navratri festivals this year, will instead have to properly implement the same, the Bombay High Court made it clear on Thursday. A division bench of Justice AS Oka and Justice VV Kankanwadi, while hearing a bunch of public interest litigations on the issue, was informed about the state government’s decision to approach the Centre, seeking relaxation in loudspeaker rules for the forthcoming festivals. Pouring cold water on the administration’s plans, the High Court observed that the state government had no choice but to follow its directions to not allow loudspeakers in silence zones on any day of the year, as it has failed in its challenge before the Supreme Court. “Let us remind all the politicians and the government that the Supreme Court has already dismissed the petition that challenged this court’s orders. The SC has upheld this court’s judgment. Now the Apex Court is monitoring this, so you (government) have no other option but to implement this court’s orders or else you are aware about the implications,” the bench observed after hearing the submissions. The HC order was issued last year. The court was told that Chief Minister Devendra Fadnavis had met representatives of certain Ganpati mandals and reportedly assured them of relaxations in use of loudspeakers. The mandals are said to have sought the relaxation as 80 per cent of them fall in silence zones. The court was further informed that despite its orders, the state government has not created any toll-free and WhatsApp numbers for registration of noise pollution-related complaints. The bench directed the government to ensure that all preparations for effective implementation of the Noise Pollution Rules, 2000, are in place before the festive season. It further directed the state to create the toll-free and WhatsApp numbers. 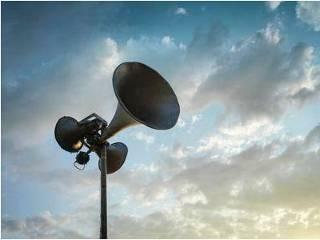 The petitioners also informed the HC that state has failed to check vehicular noise pollution. On a query from the court, Advocate General Ashutosh Kumbhakoni submitted that the Regional Transport Officers as well as Traffic Police would conduct workshops to sensitise the drivers of taxis, auto-rickshaws as well as Ola and Uber cabs against unnecessary honking. Posted on July 15, 2017 July 15, 2017 Categories Green TechnologyLeave a comment on How does fracking work? 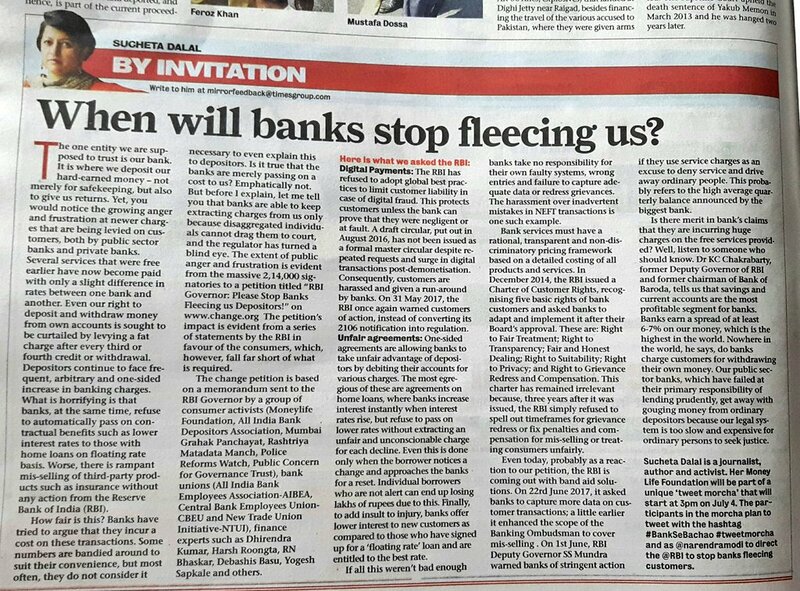 When will Banks stop fleecing us? Join the #TweetMorcha on Twitter on 4th July at 3 PM – if you care. Posted on July 1, 2017 Categories Banking1 Comment on When will Banks stop fleecing us?